Spread the news: If you have a roll of Kodachrome in a glove compartment or a drawer or box somewhere, better get it processed now! 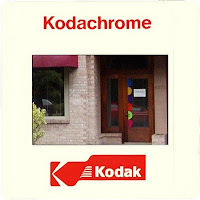 The last Kodachrome processor in the world will no longer process Kodachrome at the end of this year (2010). Kodachrome was such a different process. Even in its heyday there were only a handful of companies that actually processed it, which involved a long, elaborate process. There was only one company on the West Coast that did it as far as I know. It is not at all like the (relatively easy) E6 processing that is used to process other slide transparency film like Ektachrome or Fujichrome.